This is a vocabulary unit suitable for struggling older readers. The words are all closed syllable short vowel words. Most have blends. You can work on this unit while your students are at the closed syllable stage of an O-G program. This can also be a stand-alone vocabulary program for any setting. 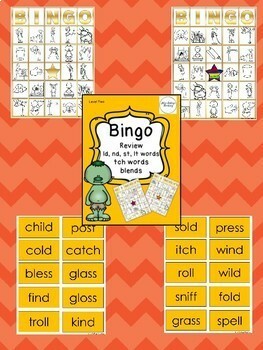 This Bingo game provides practice reading Closed Syllables with blends, long i and o closed syllable exception words (ld, nd, st, lt ), and words with -tch. It is great for Orton Gillingham type reading programs. The boards have pictures and the students take turns picking and reading word cards. 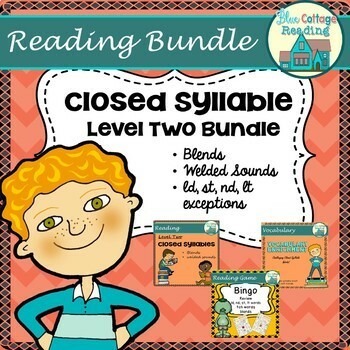 This bundle includes three great resources for teaching multisensory lessons on closed syllable words with blends, welded sounds (-nk and -ng) and the closed syllable exception patterns (long i and o with ld, nd, st, lt). This is a money saving way to get the materials that I use in my Orton-Gillingham type lessons with my students of all ages. 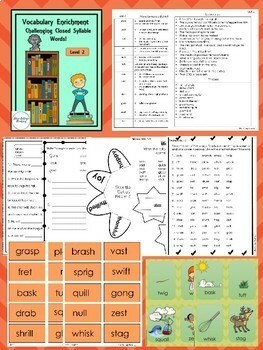 There are games, worksheets and word picture matches to use with your kindergarteners or first graders as well as challenging closed syllable vocabulary to use with older struggling readers. The word cards are color coded and are the same size. This means you can mix and create all sorts of decks for teaching and review. 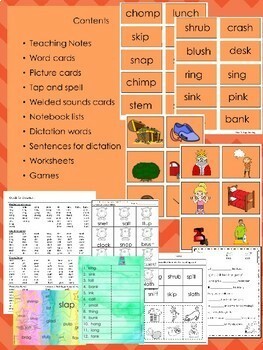 There are word cards, picture cards, notebook lists, dictation sheets, worksheets, and lots of games. There are plenty of detailed teaching notes to help you use these materials in your small groups, classroom, tutoring program or homeschool.